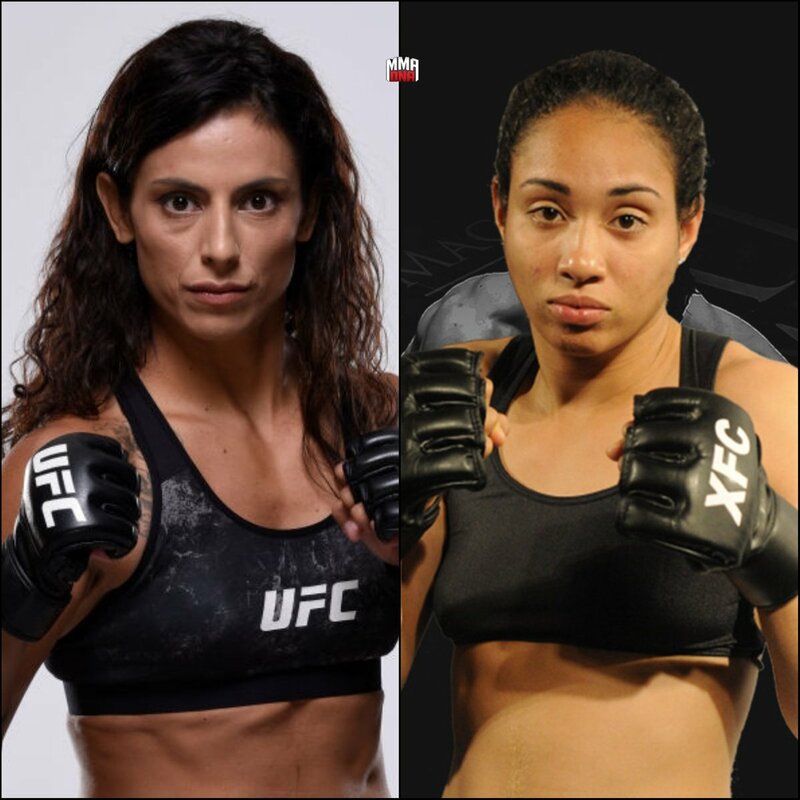 Combate in Brazil reported that Taila Santos vs Mara Borella has been added to UFC on ESPN+ 2 Feb. 2 at Centro de Formacao Olimpica do Nordeste in Fortaleza, Brazil. This will air on TSN in Canada. This fight is at Flyweight. Taila is 25 years old from Santa Catarina, Brazil. She trains at Astra Fight Team. Her record is 15-0 on the Brazilian regional circuit. Most of her wins have been over fighters with very little experience. In August she beat Estefani Almeida on the Brazilian Dana White Contender Series. Estefani was a little better than her usual competition. But until I see her in the UFC, she's unproven. Mara is 32 years old from Italy but she trains at American Top Team in Florida. Her record is 11-5-2NC. We first saw her beat Milana Dudieva in Invicta. She is 1-1 in the UFC. She lost to Katlyn Chookagian in her last fight. I guess she couldn't figure out Katlyn's keep away strategy. I was not impressed with her performance in that fight. My guess is neither fighter is very good. But time will tell.